Have you ever tried all dressed potato chips? Whenever I go to a different country, or even just a different grocery store, I always check out the chips section. For Canadians, this is kind of a lame post, I'm sure. For the rest of us, it's a pretty unique flavor. All dressed chips are actually available at some grocery stores in the United States. 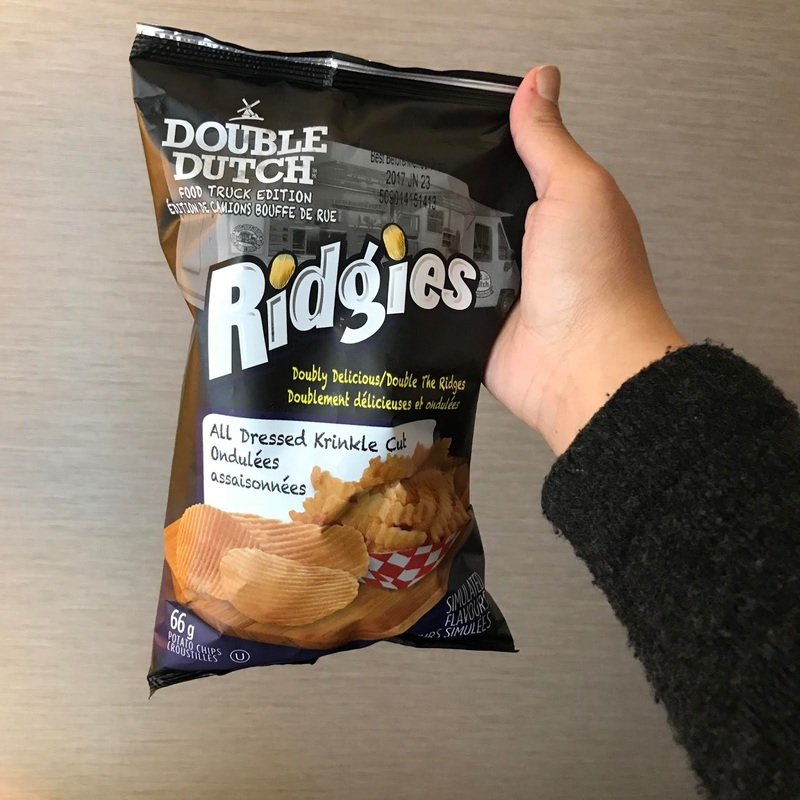 The flavor is really quite unique, it tastes like a combination of sweet barbecue chips, salt and vinegar, and also sour cream and onion chips. It's hard to describe, but you can kind of taste all of those flavors together, but yet they meld together. It is kind of salty, though. 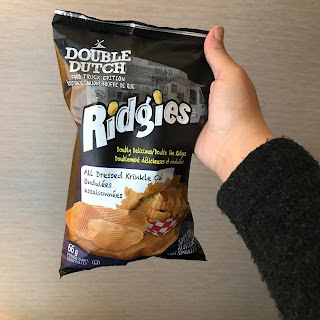 Unlike Korean chips I typically write about, chips posts here, which are usually more sweet even if they are a salty variety. However, like my favorite chicken chips, the ridges are quite narrow, so the flavoring gets in all the crevasses, making it really flavorful. SO GREAT! I'm actually not a huge fan of salt and vinegar chips, I know so many people are HUGE fans of that flavor, but it's not a flavor I ever crave or gravitate towards if given other options, which is weird because I love chips and I love vinegar and salt on their own. Unlike when I eat salt and vinegar chips, these didn't hurt my tongue, which could be dangerous since I usually stop eating salt and vinegar chips after 5 or 6 chips because it feels like it's cutting my tongue. Since these have the other flavors in them, too, the flavors all balance each other out. What do you think of all dressed chips? What's your favorite chips flavor?